It is highly recommended for any software tester to be updated with latest trends in testing fields. What other way than magazines can serve this purpose? There are many free magazines available on internet focusing software testing as niche. 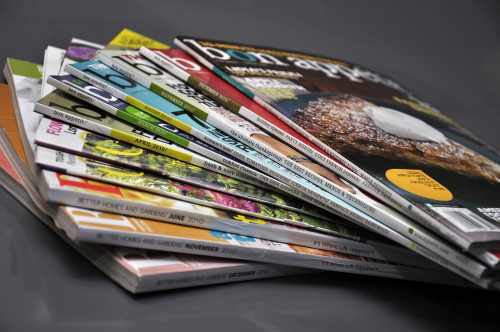 We have compiled list of such good software testing magazines you can refer. These magazines covers wide range of topics in software testing practice. Tea time with Testers: Tea-time with Testers, is the largest-circulated software testing monthly in the world. Ever since its inception in 2011, it has set one benchmark after another in testing publication circle. It takes its readers deeper to give a complete understanding of the world of software testing. Testing Circus: Testing Circus is a free to download monthly International Software Testing Magazine. The magazine publishes various topics on software testing including articles on software testing, test ideas on various applications, Testing Tools and Tutorials, Book reviews and recommendations by testers, Interviews of testing professionals etc. Testing Experience: Testing Experience is one of the world’s leading English language magazine for software testers and test managers. It has established itself as a platform for knowledge transfer in software testing projects. Software Test & Quality Assurance: The focus of the new bi-monthly magazine – Software Test & Quality Assurance – is on testing, how testing interacts with other functions in the software development life cycle and expands the conversation into software development. Automated Software Testing: Great resource for automation testing. PenTest Magazine: Pentest magazine is a weekly downloadable IT security magazine, devoted exclusively to Penetration Testing. It features articles by Penetration Testing specialists and enthusiasts, experts in vulnerability assessment and management. We hope the above list will be helpful to many professionals out there. Do you know any such magazines we have missed out here? Let us know in the comments.